– Put the water, chicken stock cube and cooked rice into pan. Bring it to boil, then simmer for 15 minutes. – Remove the pan from the heat. – Use an electric handheld blender to blend the rice soup for 30 seconds ( blend for 1 minute if you prefer a smoother consistency. – Return the pan back onto the hob, add the cooked prawns, sugar, light soy sauce and fish sauce. Then simmer for another 3 minutes. 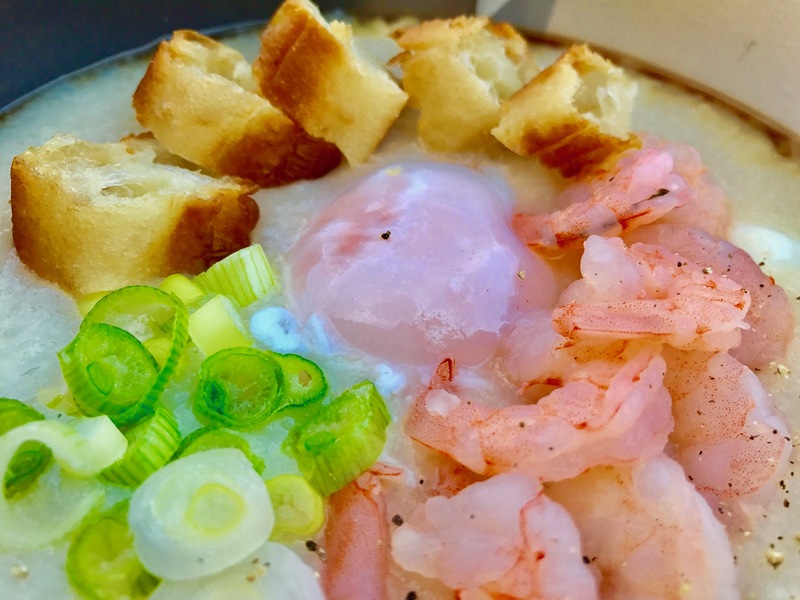 – Put the Prawn Congee into the serving bowl and top with a poach egg, spring onion, sliced cakoi/youteao and ground black pepper. 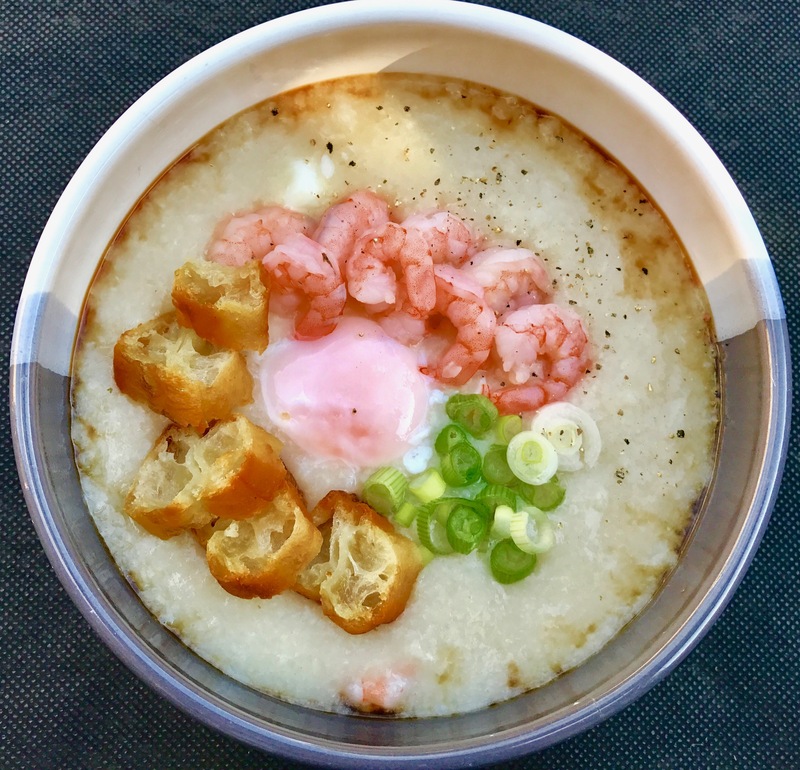 – Keep adding the extra water if you prefer Prawn Congee to have lighter consistency. – Add some julienne sliced of fresh ginger will lift this dish up. – Feel free to add the extra seasoning. Some Thais put chilli flakes and rice vinegar to intensify the flavour.